Three burglaries across Armagh which targeted the elderly may be linked, say police. The burglaries in Derrymacash, Gilford and Keady all happened in the last few days of October and netted more than £12k in cash and valuables. 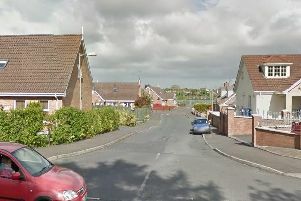 The first burglary took place in Lir Fold, Clay Rd, Keady. A man was seen at around 7.30pm, but police have no real description of him. Around £10k was stolen as well as $600 US Dollars. “That’s someone’s savings, gone. Do you work in a bank or other financial institution? Has someone come in to change several hundred $US? Give us a call. The reference number is 658 of 27/10/17,” said the PSNI. The second took place on Saturday 28th October in Riverside, Gilford, between noon and just before midnight. “Whilst nothing of massive financial value was taken, a home was broken into, rooms ransacked, and items of sentimental value- irreplaceable stuff- has been stolen. Again, did you see any cars or people in the area which seemed out of place? This incident number is 1794 of 28/10/17,” said police. “The third break in occurred on the same day- Saturday 28th, in Wolf Island Terrace in Derrymacash. Between 5.30pm and 7.30pm a house was broken into and again, savings of £2k cash was stolen. If you know anything about this, or saw anyone or any vehicles in the area you think may be connected, please call us. This reference number is 1371 of 28/10/17. “Any information about any of these could be significant. You may have seen a car or a van at the time that you thought nothing of? Now is the time to think about it again!